Don’t have enough mountains of cash on hand to buy a brand-new 2016 Ford GT? 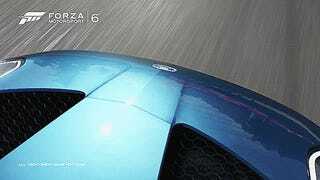 Well then Forza 6 is as close as you’re going to get. Not only is it the car on the cover, but in true Forza tradition it makes racing look gorgeous. And it should look gorgeous, because now there are big new features that demand it. Those features, specifically, being night racing and weather effects, at least if this trailer is any indication. And night and rain racing are huge, as anyone whose played a racing game that’s had it for a while (ahem, Gran Turismo) can tell you. They completely change the dynamics and the environment. But those two tiny little changes are so complex, and such a huge resource drain that Turn 10 Studios couldn’t make it work for the last installment, Forza 5. It’s not as simple as adding in some visual effects, as the physics changes can affect huge portions of tracks. But it’s not just “oooh water” and “oooh darkness” that’s making me so excited for this. Everything about this trailer is on-point, from the fact that it’s all in-game footage, to the beautiful reflections, the perfect engine notes, the way you can hear the whirring of the mechanical bits on an open-wheeled car, to the way everything splatters as your Pagani absolutely flies off track. Oh, and also, Ford GT.